Stainbeck Church is a family of people of all ages who meet to worship God and to share their faith in Jesus Christ. Here at Stainbeck, the church was established as a mission church in 1931. It is the only church within a mile radius and is surrounded by mixed housing, including pockets of high deprivation. The majority of members and adherents are active in the life of the community, and live within one mile of the church. InterACT is a partnership of local churches, established with Stainbeck as the lead partner. This partnership has helped the church to develop a community-based ministry and mission relevant to the needs of the area. A Messy Church initiative, again undertaken ecumenically, is enabling us to grow and consolidate our work with families and children. We also support the Chapel Allerton Youth Project, another ecumenical venture with young people. An important place where our objectives, including those related to the five marks of mission, come together, is at the weekly Community Café . The worship is varied, informal and inclusive respecting the diversity of theological understandings within the congregation. 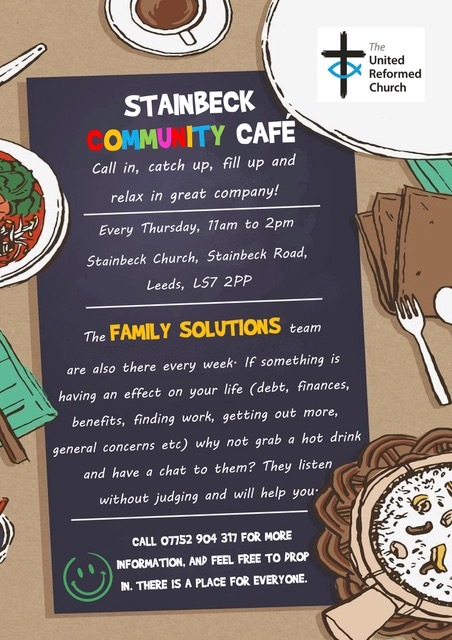 Stainbeck continues to worship and serve God by proclaiming the Gospel and helping to meet the needs of those around. It is a congregation of the United Reformed Church in the Yorkshire Synod, and is an active member of Churches Together in Chapel Allerton and Meanwood. Find out more, by exploring our websites, or (even better) by coming to meet us and worshipping with us. 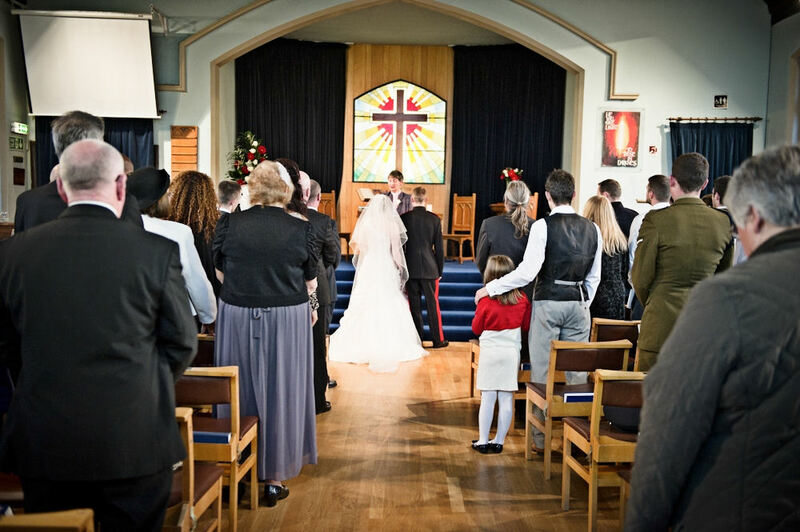 Stainbeck Church offers infant and believer’s baptism, and is licensed to conduct weddings. The Minister is also available for pastoral care and funerals. Stainbeck Church is part of the Leeds Mission and Care Group of URC churchesin the Leeds Partnership which meets periodically. Information on these meetings is available in MICA-NEWS.